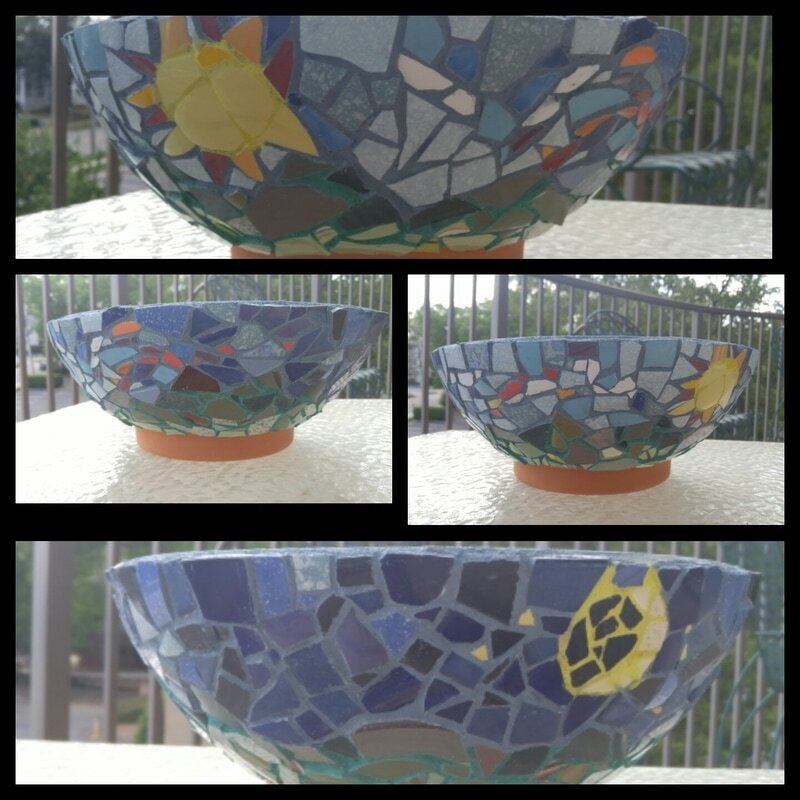 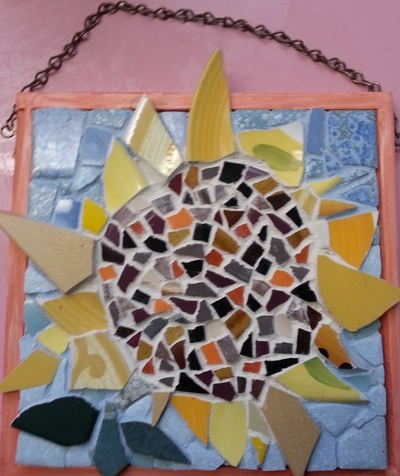 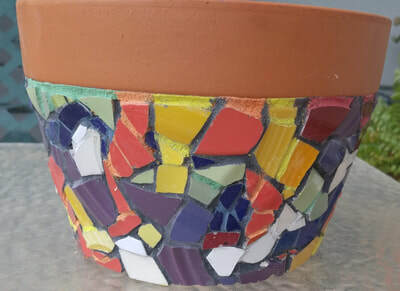 The images above are all from my recently completed Sun & Moon mosaic feature 10" garden planter. 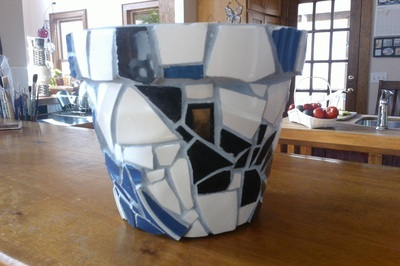 Contact me to commission one of these beautiful additions to your balcony, patio or sun room. Beginning at $125. 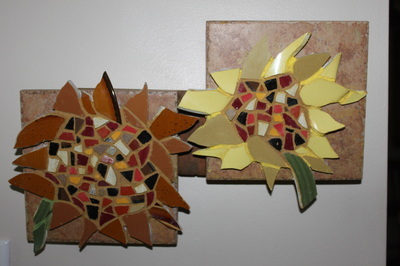 There are many forms of tile mosaics, each beautifully unique and intriguing. 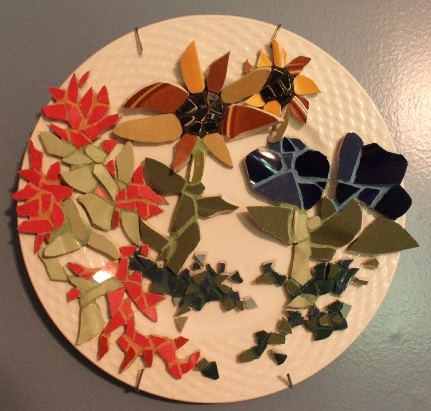 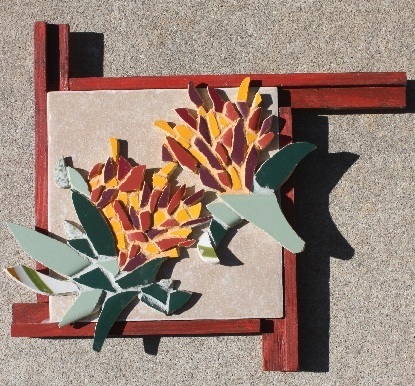 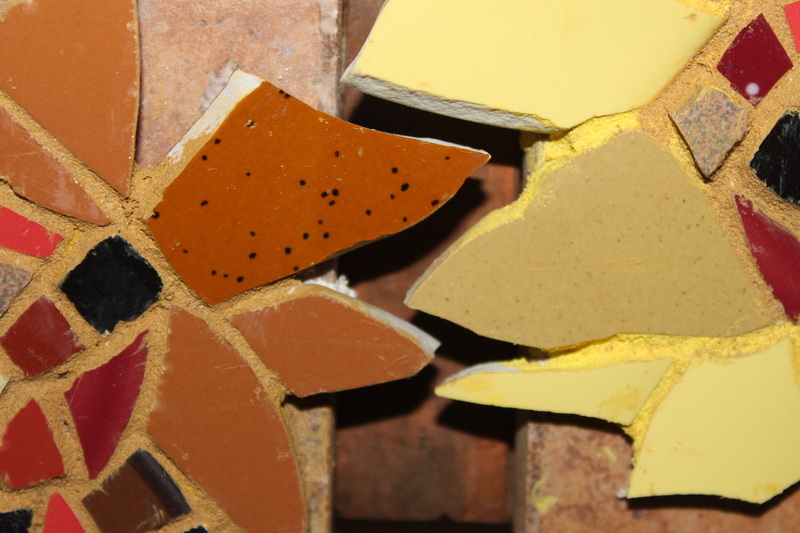 My take on mosaics is to use bits of tile and ceramics and occasionally other things like seashells, to create a three dimensional expression out of nature. I like to play off of the intersection, where one piece of tile meets with another. 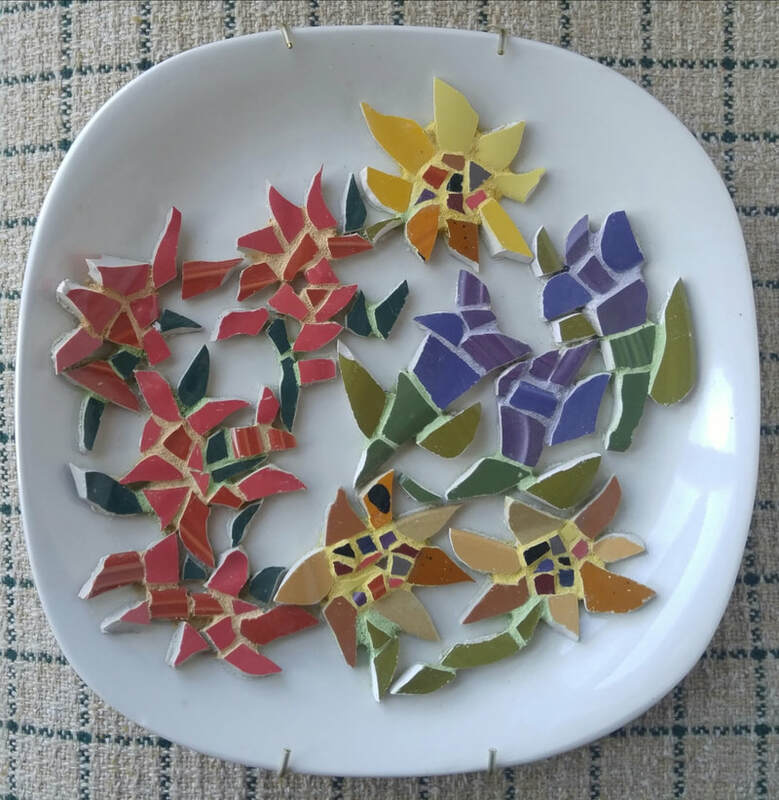 I also like to play off of the shape and 3D flow that comes with using bits and pieces of plates, bowls and other curved ceramics, and weave that aspect into the design. 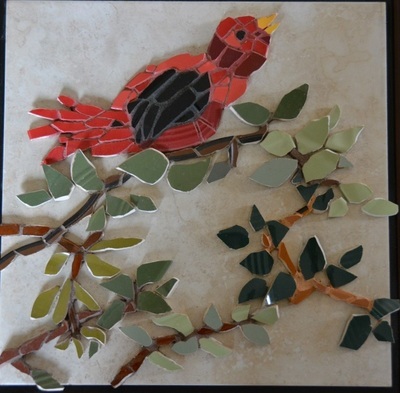 I love to move beyond the boundary edge of the tile or plate or other substrate, and extend the mosaic outward, overlapping onto the wall where it will hang. 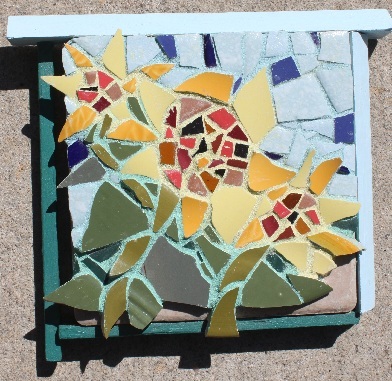 I let the mosaic speak to me in order to come up with a unique frame that will further enhance its overall effect. 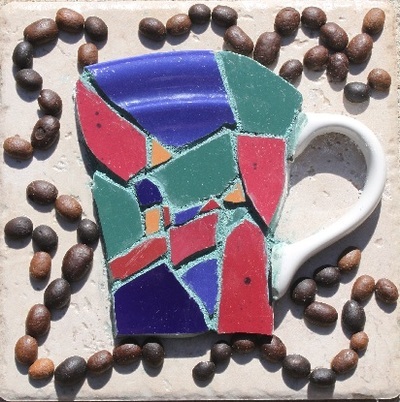 All of my mosaics are hand designed, and each piece is hand-sanded and shaped to fit into its place in the overall design.